Mary Shelley has just been released, starring Elle Fanning as the writer. And this year marks the 200th anniversary of the publication, on 1st January, 1818, of her brilliantly imaginative – and highly moral – gothic tale. 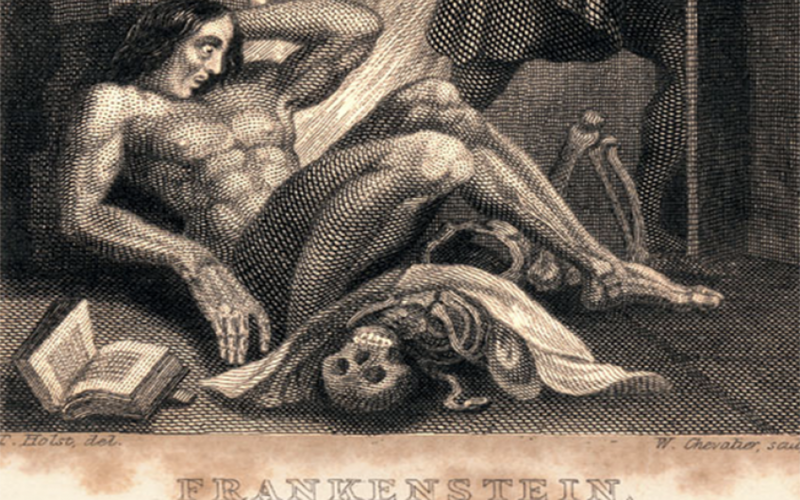 To be sure, electricity cannot infuse the spark of being into the lifeless – other than when a few hundred volts from a defibrillator restores the heart to normal rhythm – but, two centuries on, Mary Shelley’s tale seems astonishingly prescient. We are indeed electricity incarnate. Everything we do or say, every move we make, every thought we have, every note of music and fleeting scent of a rose, every beat of the heart and contraction of the bowel is generated by an electric current – orchestrated by the neuronal circuitry of our brains several hundred times more complex than the entire global telephone network and transmitted through nerves that, laid end to end, would stretch 250,000 miles, all the way to the moon. Still, it is only in the very recent past that the puzzle of the source of that electric current – its battery as it were – has been fully identified; best illustrated by comparison with the qualitatively very different type of electricity that, at the flick of a switch, illuminates our homes and so much else besides. The flow of electricity through, for example, a copper wire is analogous to the flow of water along a pipe; though here composed of a ceaseless stream of the very simplest, most elemental form of matter, electrons, hurtling along at a rate of six milion million million particles per second, generating a signal at almost the speed of light. The discovery – by Michael Faraday in the mid-19th century – of how to generate that flow of electrons by exploiting the fundamental physical laws of electromagnetism is probably science’s greatest single gift to mankind. The very painful (and potentially lethal) effects of grasping a live wire is evidence enough that manmade electricity is vastly more powerful than the current flowing down a nerve. When, after considerable technical difficulty, Cambridge scientists Alan Hodgkin and Andrew Huxley were finally able to measure it in the 1950s, they found it generated a few millionths of an amp, travelling at a mere 100mph. Or, put another way, the sum total of electricity generated by the human body – for all its manifold consequences – is only sufficient to illuminate a 100-watt bulb. The nature of that current, too, is quite different, being predicated on the unusual property of sodium atoms (as in salt) to ‘give up’ one of their electrons to become positively charged sodium ions. With the nerve at rest, there is a higher concentration of those positively charged ions outside the nerve membrane than within, creating an ‘electric potential’ across it. Now imagine a small section of a nerve fibre involved, for example, in the sensation of touch. Press on the skin and the sodium ions pour down their concentration gradient into the nerve, initiating a flicker of electric current, causing more sodium ions farther along to rush in, thus propagating the signal. By the time it has passed all along the nerve, the interior of the nerve is flooded with sodium ions which must then be pumped back out to restore the electric potential. It is of course a lot more complicated than this, but the crucial point is that the spark of life resides in the ability of these minuscule pumps, one ten-millionth of a millimetre in diameter, studded along the nerve membrane, to grab hold of those sodium ions and force them back out. They are so important that it requires half the food we eat and a third of the oxygen we breathe just to provide the fuel they need. They are the batteries on which all life depends.